Try Square at no cost to you as a Hertz Business Rewards® member. Join the millions of other businesses using Square to process their credit card sales and see for yourself if Square is right for your business. Enroll today, it's free! Pay your way - Square offers to pay one price for every swipe and paid invoice or for every keyed-in transaction. Eliminate the middle man in your business - Sign up is quick, secure and keeps you in control of your small business. Data & Analytics - See who, what and where you are selling your products. 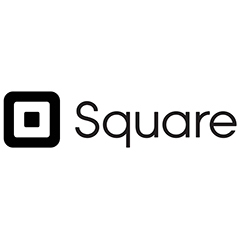 Rapid fast processing - With Square, you can often get paid within 24 hours of the transaction. Businesses of any size can process $1,000 in credit card sales at zero cost to see if Square is the right solution for their credit card processing needs. Whether you are a brick and mortar store or a business on the go, Square’s easy to use credit card reader and iOS and Android app make it easy for businesses to connect a mobile device such as a cellphone or tablet and accept credit cards immediately. You’ll receive a Square credit card reader for free when you register. There are no long-term contracts, so use Square as much or as little as you like. Click here for more information on Square. Once you’ve processed $1,000 in free credit card processing, your processing fee will then move to 2.75%. Square allows you to accept all major credit cards including Visa, MasterCard, Discover and American Express. *Additional terms and conditions may apply. Hertz is not responsible for the content of this offer.